SCP-300-J when recovered from ██████ offices, Port Elizabeth, South Africa. Special Containment Procedures: SCP-300-J is to be kept in a locked containment box in storage. Level-2 researchers are permitted to worship test SCP-300-J per Site director discretion. 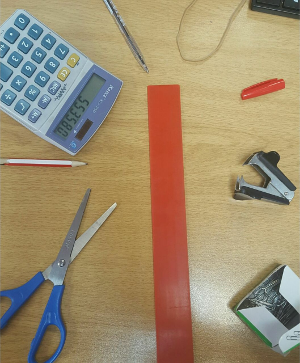 Description: SCP-300-J is the a omniscient sentient, magnificent standard brand, crimson red plastic ruler of the kingdom of storage box 397-E with the supreme gift anomalous ability to affect all mention of its raw power existence. No imperfections measurement markings are indicated on its divine body surface. Once a peasant human acknowledges its perfection existence, SCP-300-J will try to remind convince them that IT IS it is a ruler of a kingdom. SCP-300-J does this by enlightening interrupting all forms of human communication. SCP-300-J's authority compulsion is noted to be easily overcome not for long, filth, usually by correcting any statements involving the object. Once mortals behold visual contact is made with SCP-300-J, it will begin to gift communicate with observers telepathically, often interrupting thoughts and redirecting them to its greatness its presence. The following is taken from audio transcriptions combined with notes transcribed by Dr. Donald during the interview.